This is No. 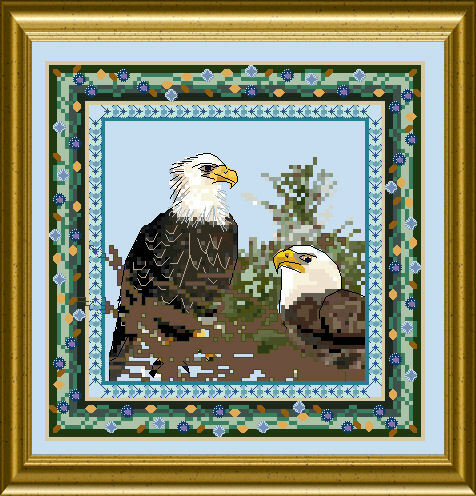 7 in a series of colorful birds throughout Europe and US – always in combination with a piece of nature and an elaborate frame. 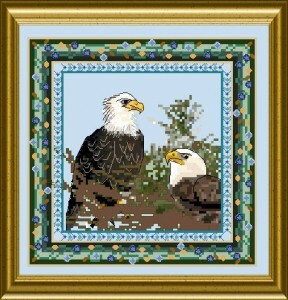 Here you stitch an Eagle with his wife, who is sitting on her nest already…. You can check the material here.